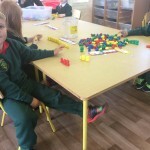 Tá na naoínáin nua sa rang ASD ag socrú isteach go maith inár seomra nua álainn. 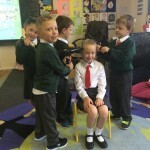 Ba mhór an t-athrú é ach is aoibheann linn bheith ag obair le chéile sa rang agus ag spraoi sa chlós imeartha. 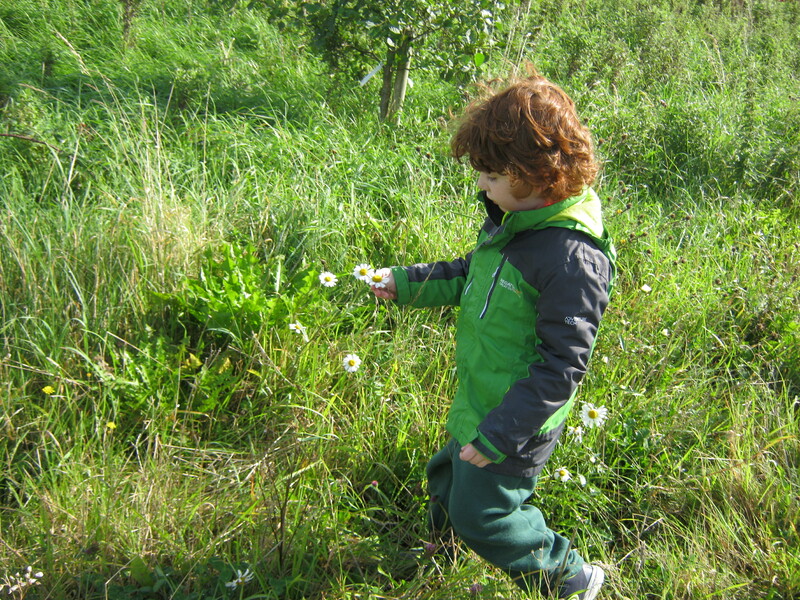 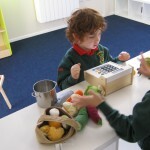 Táimid an bhródúil as ár n-obair, go háirithe i mata, teanga, corpoideachas agus ceol. 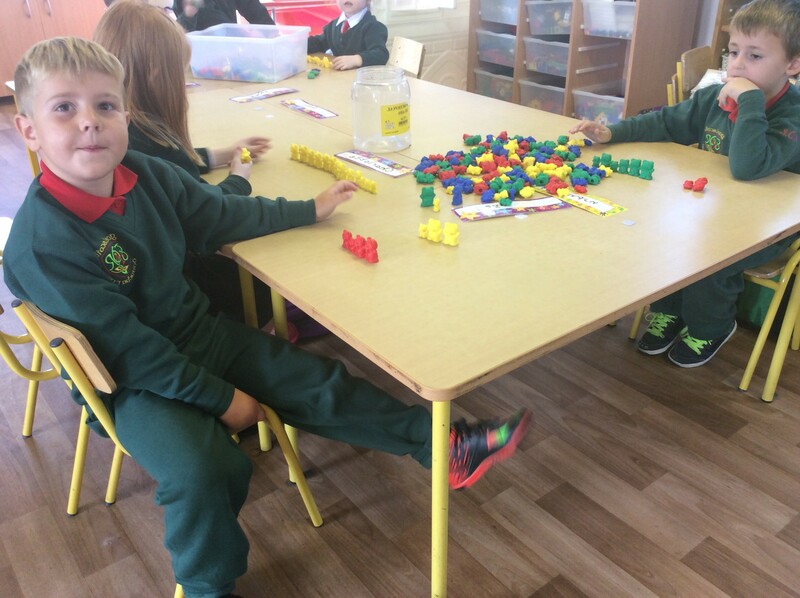 Is breá linn Gaelscoil Donncha Rua! 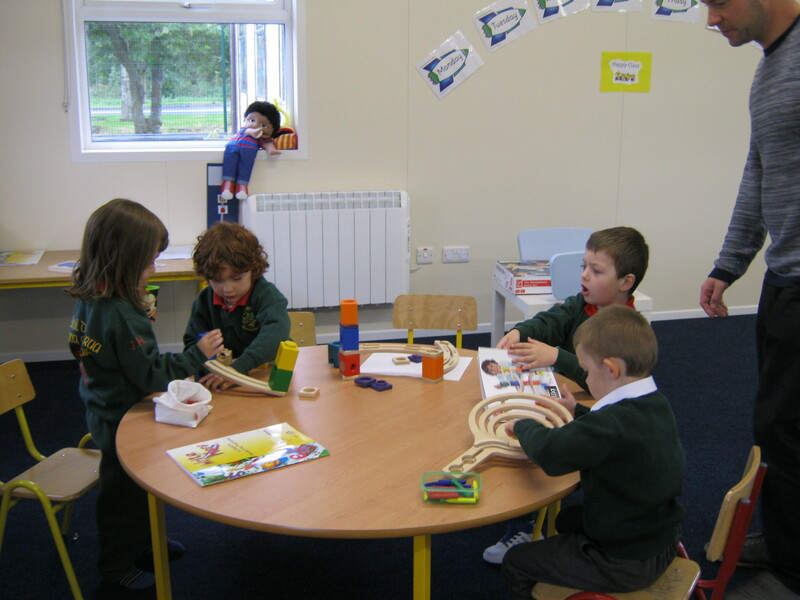 All of us in the new infant ASD class have been settling in to our lovely new classroom. 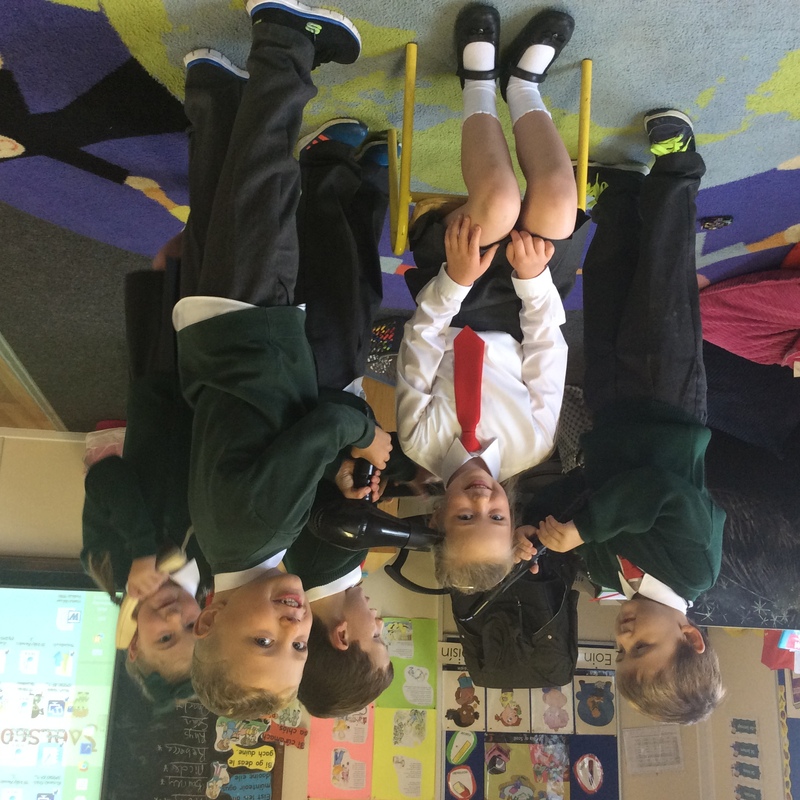 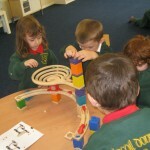 It has been a big change but we have enjoyed working on our own and as a group. 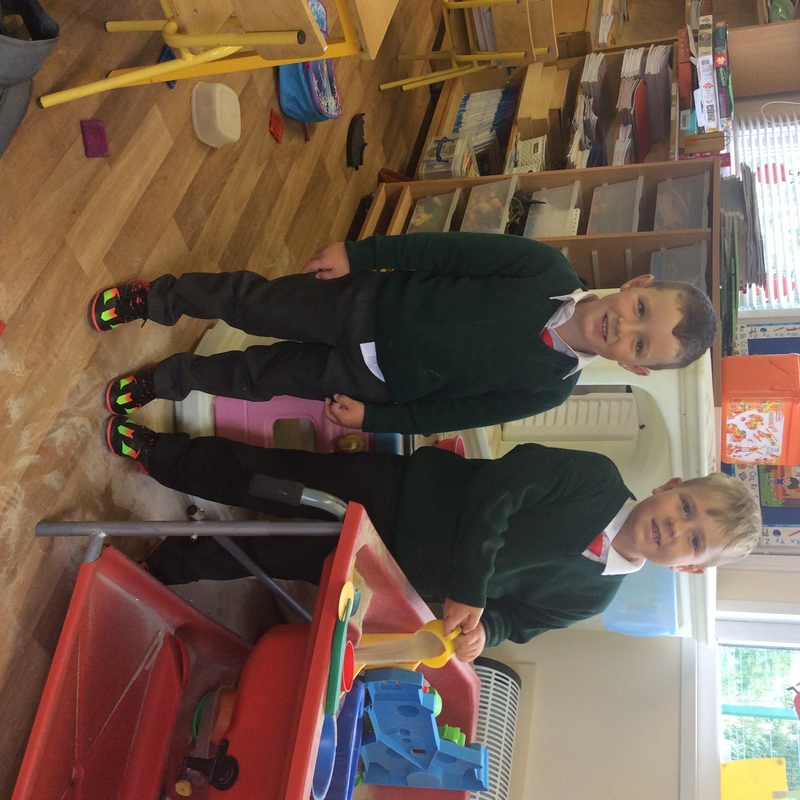 We have had great fun playing together in the nearby playground. 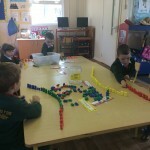 We are proud of our work, especially our maths, language, PE and music. 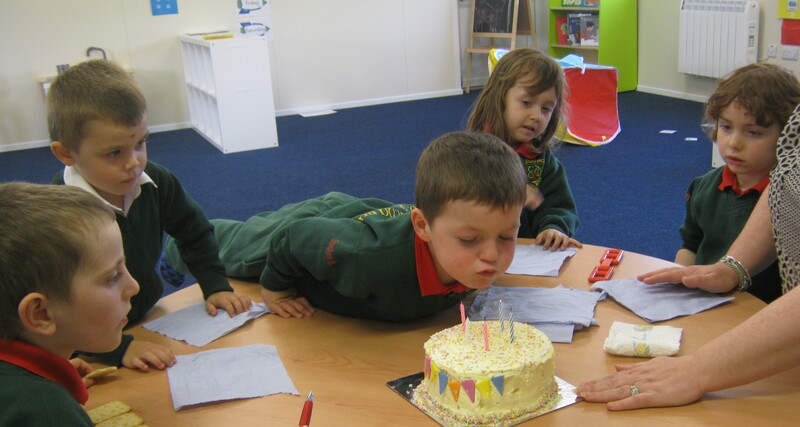 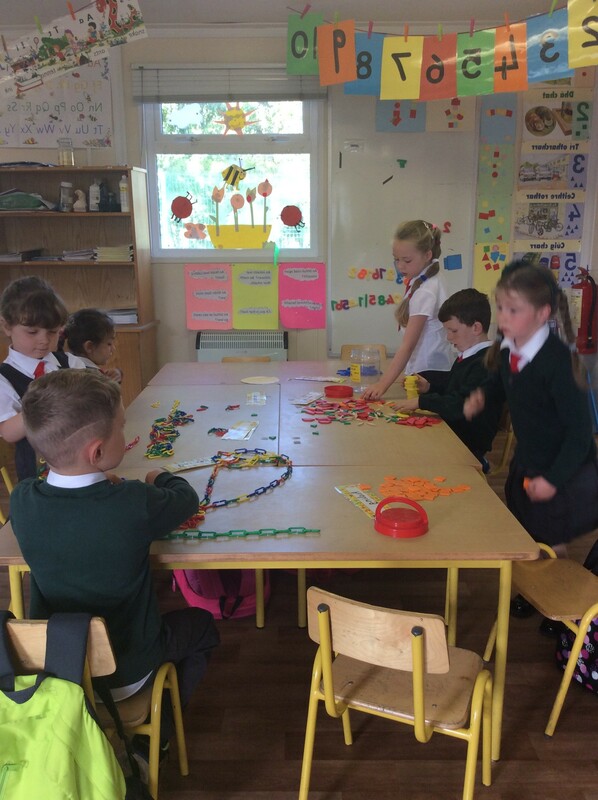 We love Gaelscoil Donncha Rua! 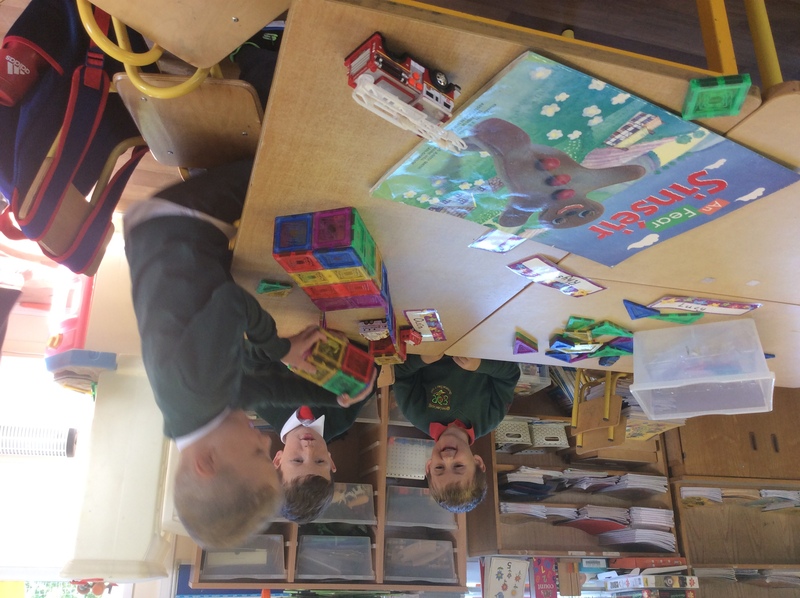 Ag súgradh le chéile i rang na naíonán. 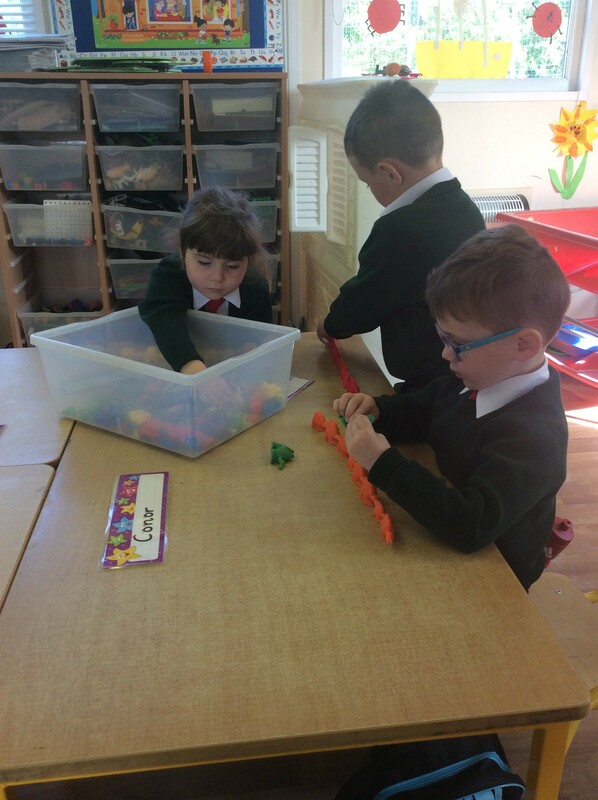 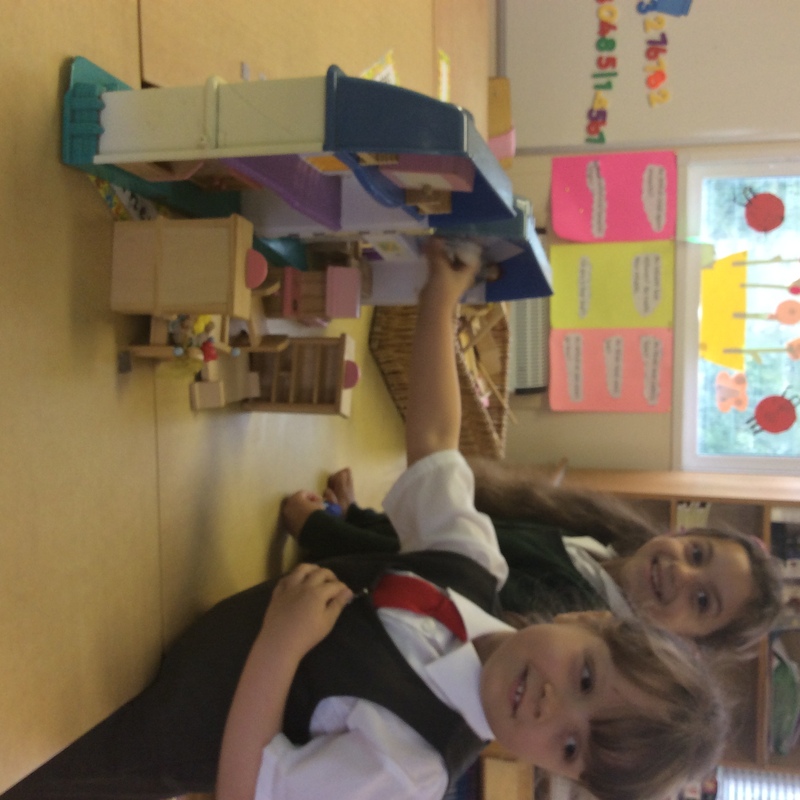 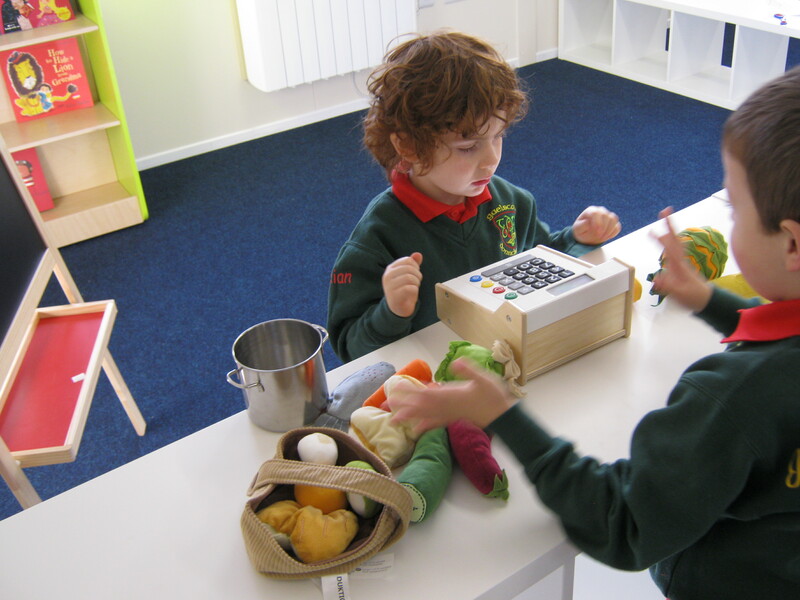 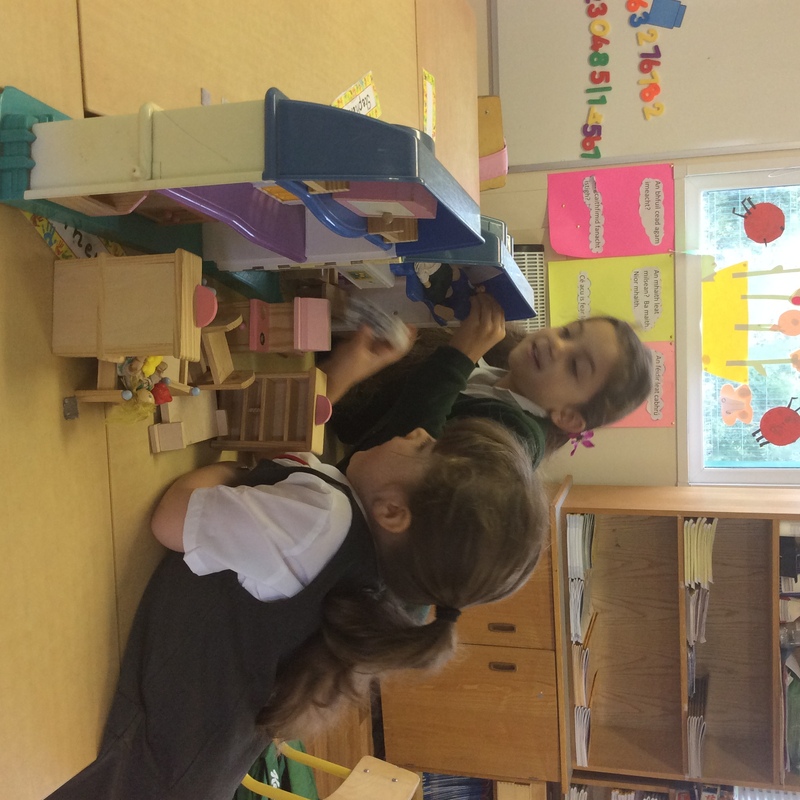 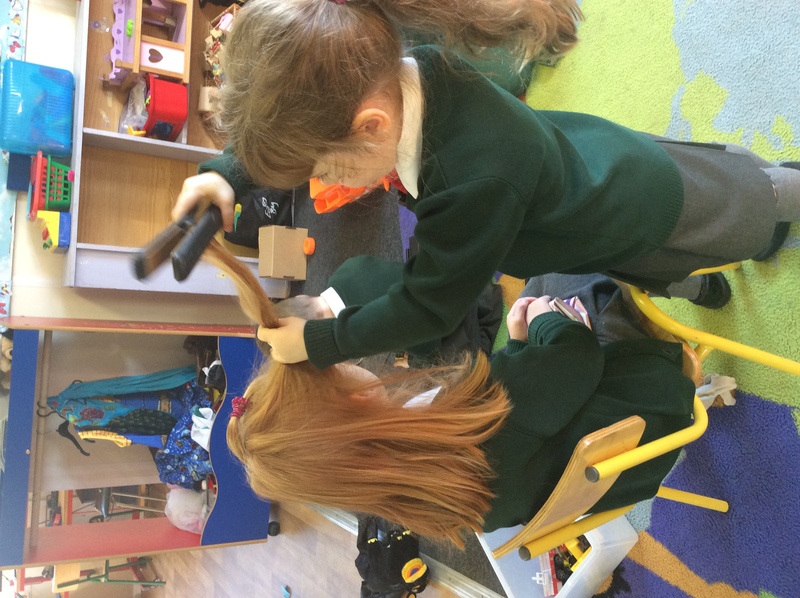 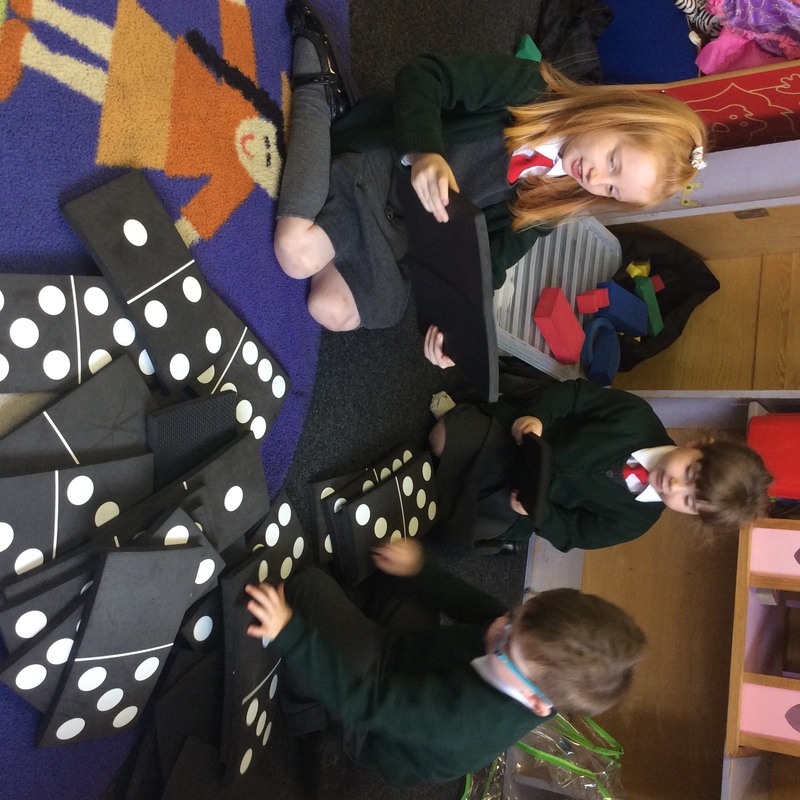 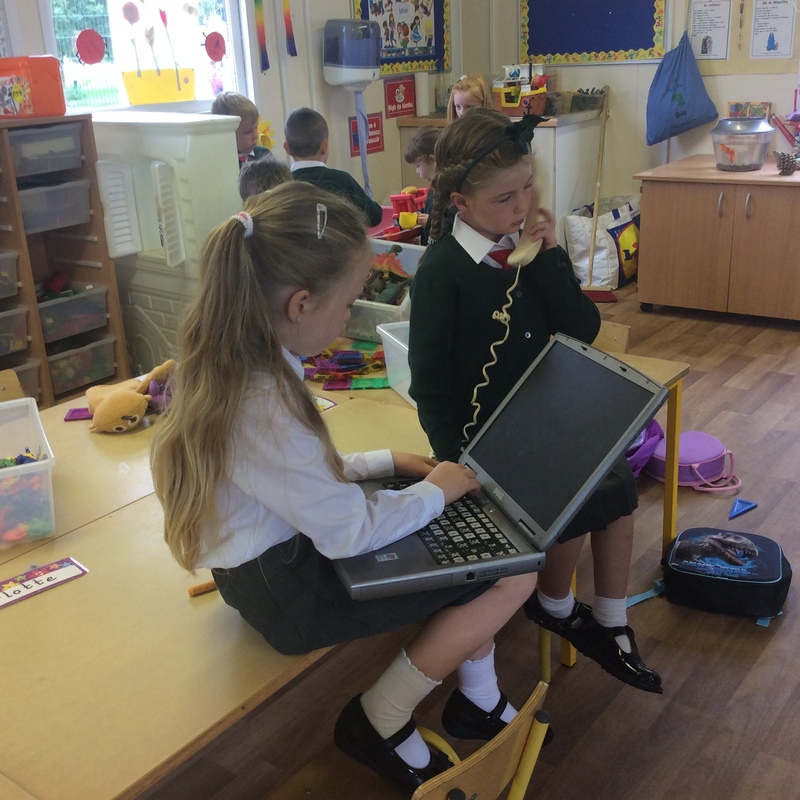 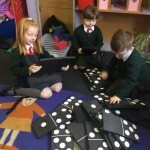 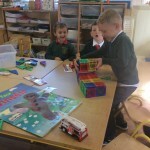 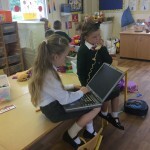 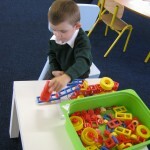 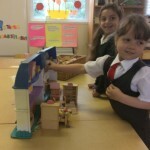 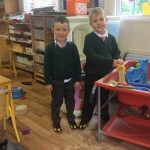 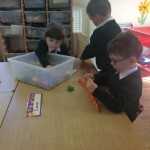 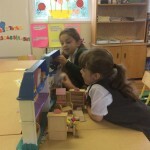 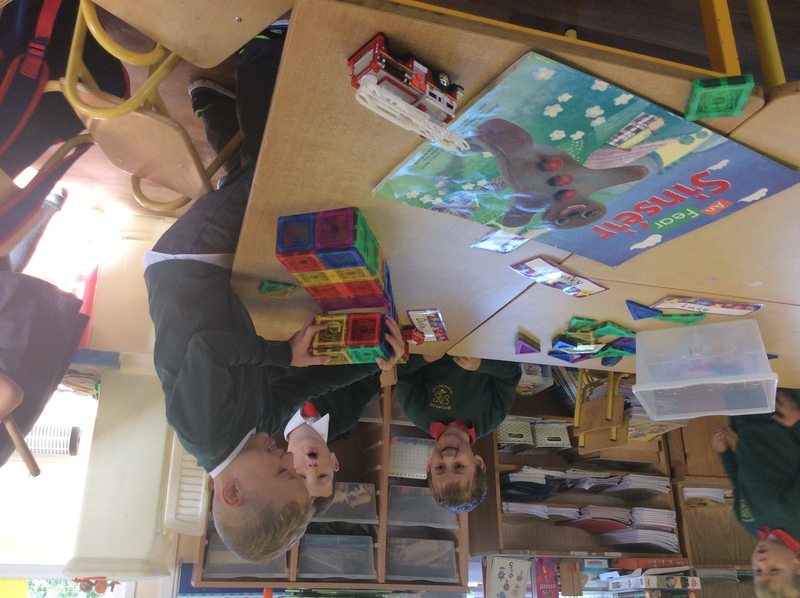 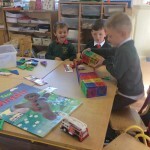 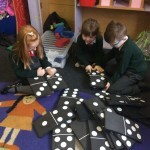 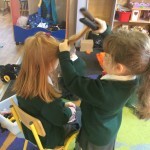 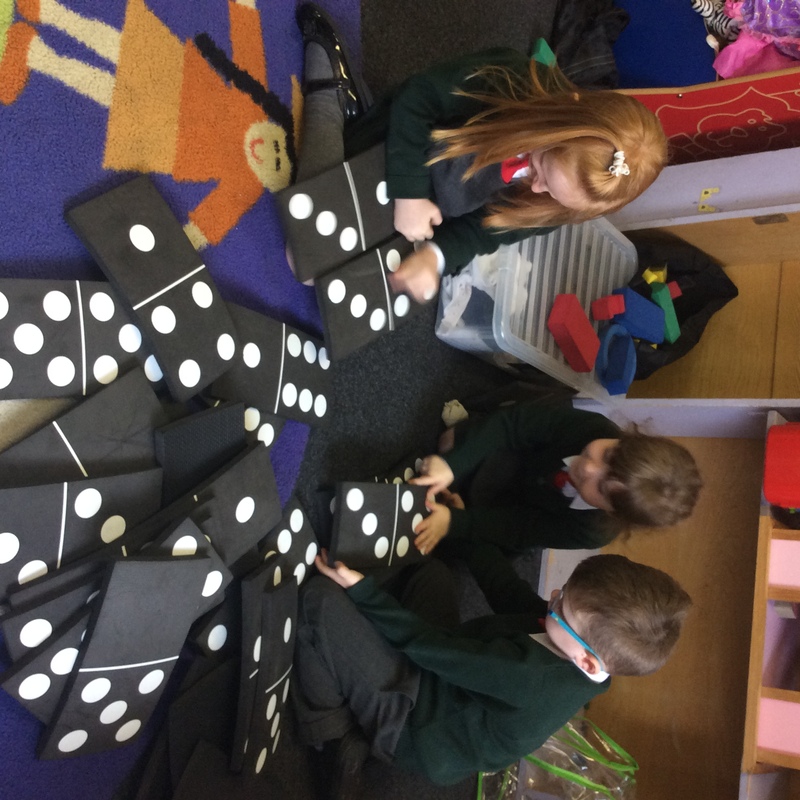 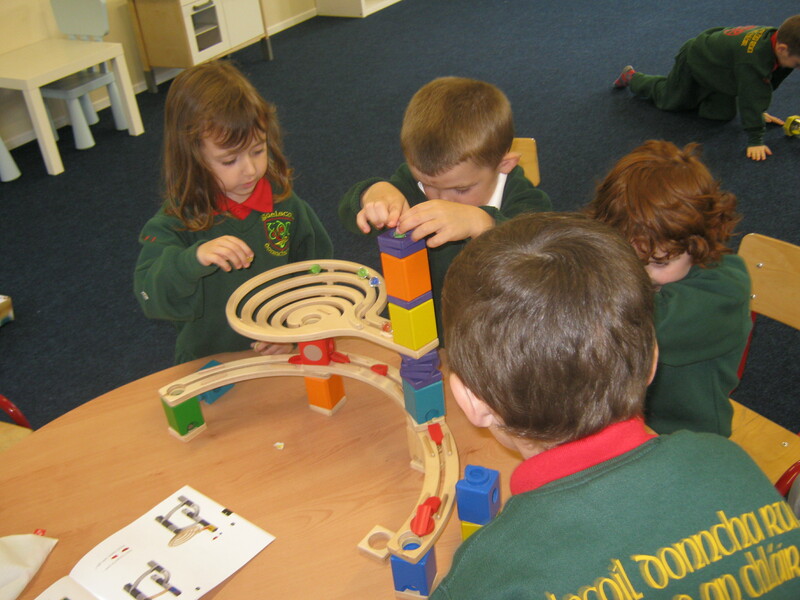 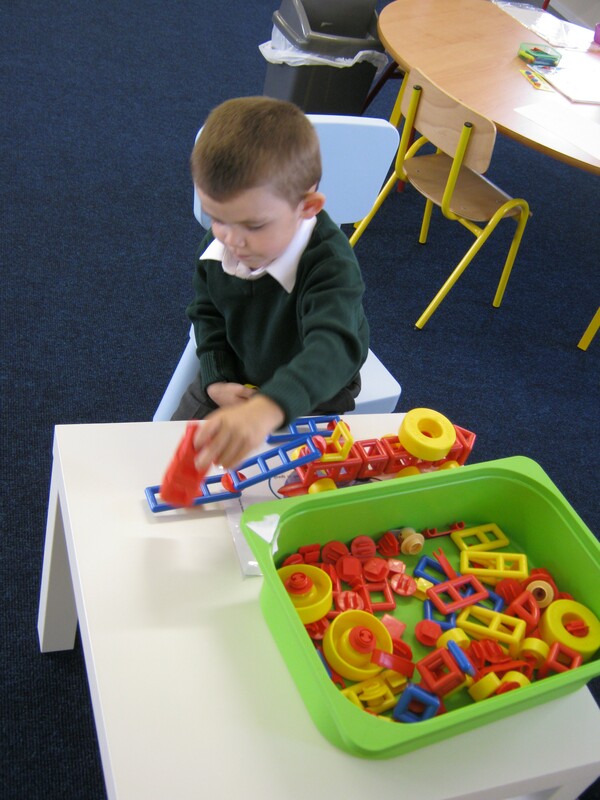 Playing together in the Infant classroom. 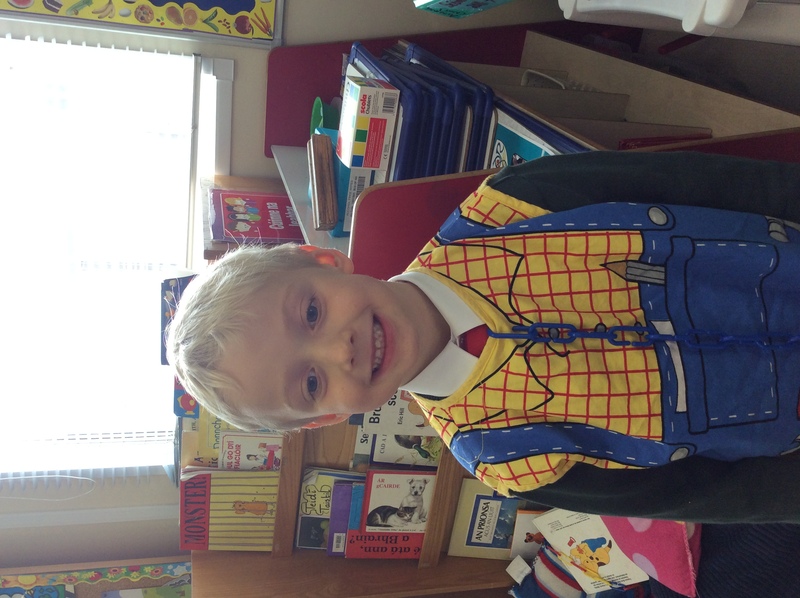 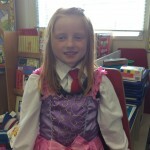 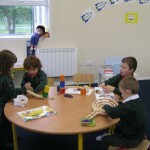 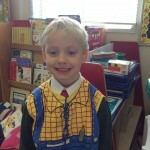 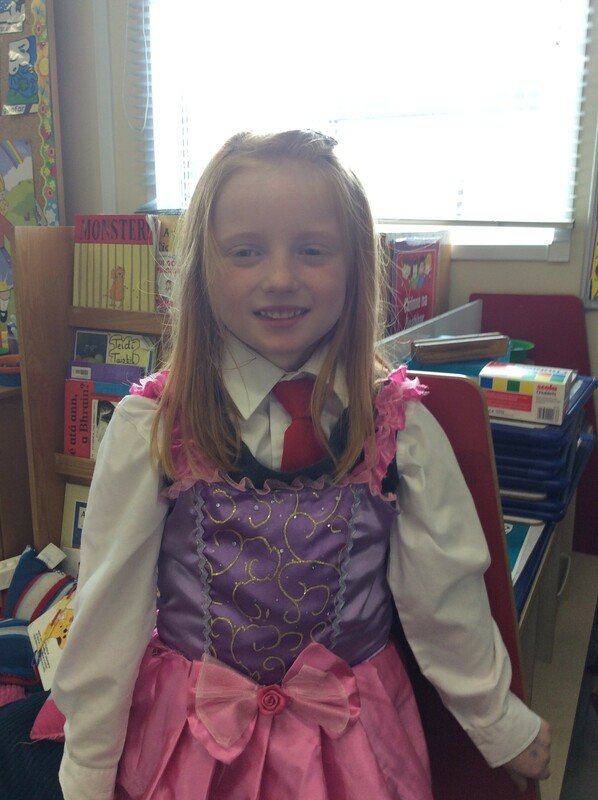 Junior infants are settling in well. 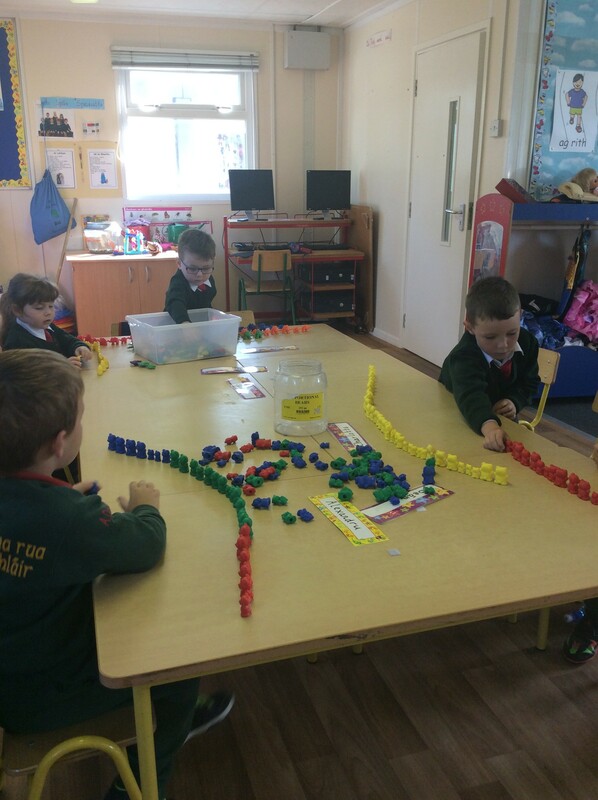 Junior and Senior infants working hard at maths, sorting and classifying. 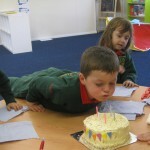 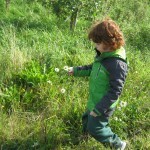 Spraoi agus cleachtadh ag na naíonáin agus iad ag gléasadh suas! 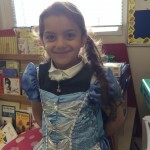 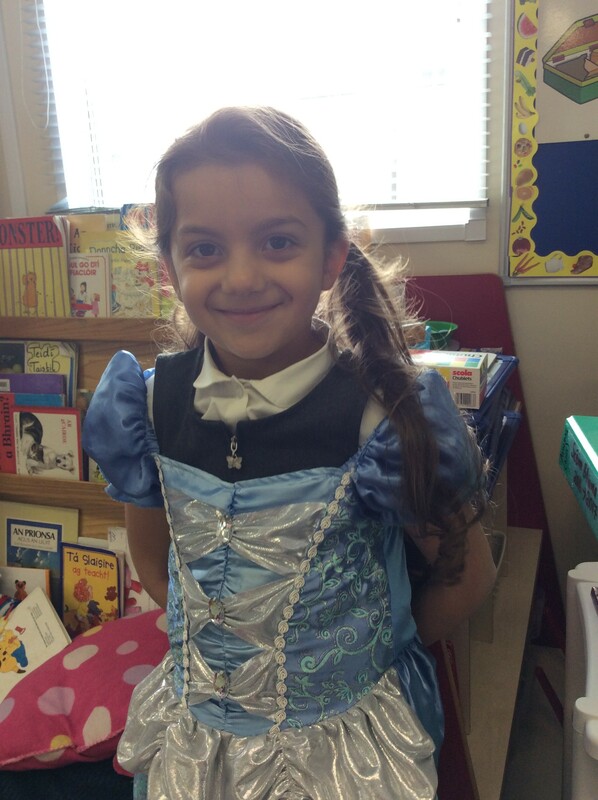 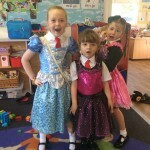 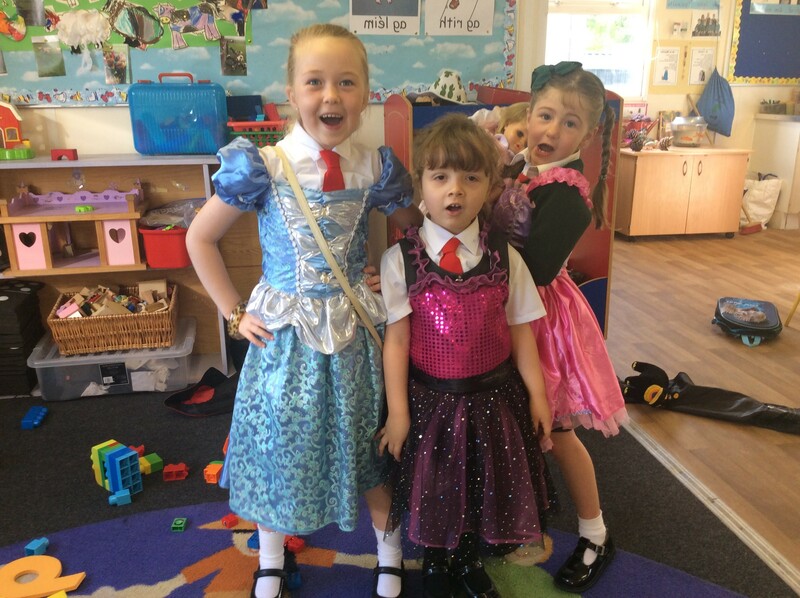 The infants having fun dressing up!